Starting GPS Co-ordinates: N51 03' 30" W000 89' 10"
Finishing GPS Co-ordinates: N51 03' 70" W000 88' 30"
Stodham Lane is a very simple, straightforward byway. We drove it from it's western end. Leaving Pruetts Lane, the byway leaves the country road at a very sharp hairpin bend. 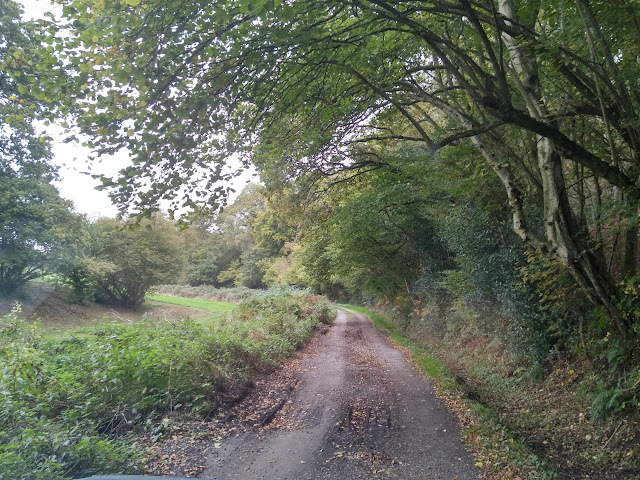 Heading east on a hard surface of compacted gravel or clay, the going is extremely easy as the surface is well maintained (there is barely a pothole) and the undergrowth on each side is kept cut well back and never threatens the paintwork. The track twists and turns its way along a field boundary with a shallow ditch on the southern side, and then suddenly heads uphill on reaching 'Sunrise Cottage', and... that's it. There is nothing further that remains to be remarked upon about this byway other than it ends where it meets the B3006 between Hill Brow and East Hill, Liss. Not really worth going out of one's way to visit. Oh, actually there is one thing for the history buffs: just to the south of the lane lies a large ancient earthwork, although nobody seems to know what it is.